CELEBRITY chef Jamie Oliver may have declared the turkey twizzler a dinner plate disaster but even they seemed more appetising than what was on offer at the IW Zoo on Friday. 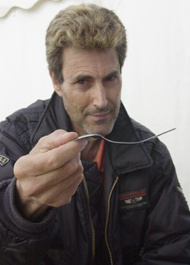 Spoon-bending legend and I’m A Celebrity Get Me Out of Here veteran Uri Geller presided over a final day of bush-tucker trials to raise money and the profile of the Sandown attraction. During the week visitors tested their tastebuds on gruesome gourmet including wriggling giant meal worms and fat fruit beetle grubs ÃƒÂ¢Ã¢â€šÂ¬Ã¢â‚¬Â to be eaten alive ÃƒÂ¢Ã¢â€šÂ¬Ã¢â‚¬Â fried locusts, cockroaches, eels and snails. On Friday, staff from organisations around the Island donated cash to the zoo for the chance to see their bosses squirm as they tried out the challenge. Participants included Pilot Boat Inn landlord Mark Day, Paul Buckland from the IW College, Little Chris from Gurnard Pines, teacher Craig Trevelyan of Ryde School and psychic Caroline McRenolds. IW Radio DJ Alex Dyke and zoo general manager Greg Hailes both made donations to not have to take part. “I tried a cockroach earlier in the week and it was the most disgusting thing I have ever tasted. 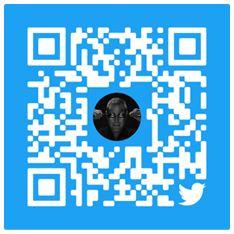 All the others tried everything. I was really surprised,” said Mr Hailes. He added: “The whole idea was to raise money for the work we do here and raise our profile. Much of the money we raised will go to help Kanhar National Park in India, who we work closely with to develop these habitats. Mr Geller, a well-known vegetarian and animal lover, said: “The zoo knew I did the first bush-tucker trials in I’m A Celebrity and asked me if I would like to come down today to raise some money. He donated Ãƒâ€šÃ‚Â£1,500 to the attraction, which has been praised by several high-profile conservationists for its tiger sanctuary. He said he might become involved with future projects. Full story and another picture in the Friday, August 5, County Press.